Malcolm Baldrige, the 26th Secretary of Commerce, believed that high performance, quality and innovation have always been key drivers of the U.S. economy. Balridge inspired business owners and public servants across the country to strive for excellence, and in 1987, Congress honored his legacy by establishing the Baldrige Awards to enhance the competitiveness and performance of U.S. businesses. 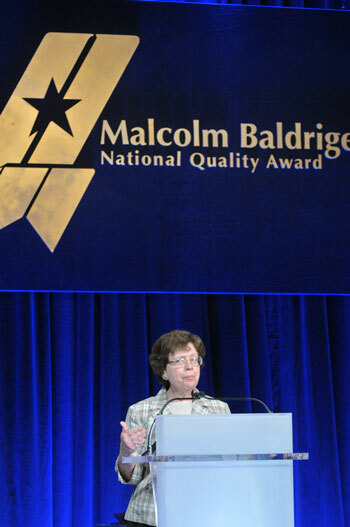 Now in its 25th year, the Baldrige Awards have since been expanded to recognize excellence in three other categories as well: education, health care, and nonprofit organizations. Since 1987, the program has recognized 93 American companies and organizations for outstanding performance. These four winners are among the many outstanding U.S. companies and organizations that are strengthening the American economy and building a successful future. Additional information on the Baldrige Award, the Baldrige Performance Excellence Program, and profiles of the 2012 Award recipients is available at www.nist.gov/baldrige. Submitted on April 11, 2013 - 3:20pm. I believe that we would eponentially increase the Department's performance by listing phone numbers for all of the Bureaus in the same spot on their webpages. I am trying to determine what performance management systems the different bureaus use and have to validate who is working performance in each office. It's a bear just to find a number. Just today I couldn't find one for ESA. It would also be a fabulous idea for each employee to list their phone, fax and room number as a footer in their emails. Thank you for your consideration!